CUSU Council this evening voted strongly to support a motion backing the University and College Union (UCU) in industrial action over proposed changes to academics’ pensions scheme. Council voted by 29 votes to one, with three votes in abstention, to support the motion that resolves CUSU “to give full and public support to UCU on any industrial action that follows the ballot result”. The motion also encourages students to join staff on the picket line, and mandates CUSU to lobby the University to oppose the proposed changes. 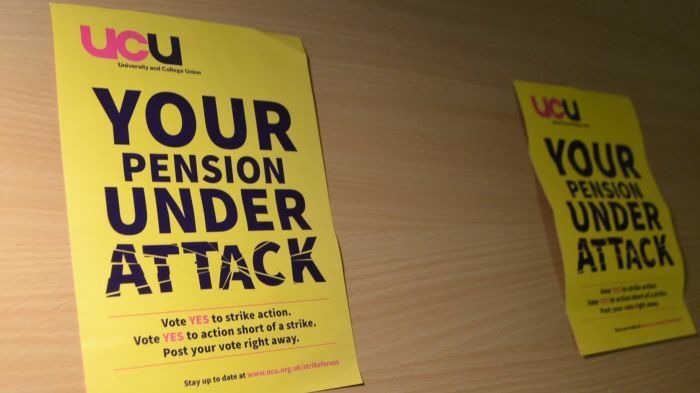 Proposed changes to the Universities Superannuation Scheme, which would scrap the requirement for a minimum level of pension income in retirement, have caused anger in the higher and further education community, with 88% of UCU members who voted nationally backing industrial action. Cambridge UCU members also backed a walk-out, with 89.4% of those who voted supporting strike action, which lead to the presentation of the motion by PhD student and former UCU representative at the University of Surrey, Daniel Davison-Vecchione. Saying that the proposed changes were part of a “wider harrowing picture of marketisation in education”, Davison-Vecchione argued that students should show solidarity with academic staff by not crossing any picket lines, and by voting for the motion. He said that there could be a possible 14 days of strike action, after an initial walk-out on February 22nd. Though Council was broadly supportive, vice-president of Murray Edwards JCR Georgia Semple queried a section of the motion which mandated CUSU “to encourage students to show solidarity by not attending lectures and seminars, or using services still in operation, on the strike day(s)”, asking whether it was CUSU’s role to dictate to students in this way. Davison-Vecchione replied by saying “CUSU council can at the very last call on student bodies to inform their members of the dispute and the ramifications of attending those classes”. Angus Satow from Cambridge Defend Education said that Council was well within its rights to make such a recommendation to students. CUSU president Daisy Eyre seemed sensitive to this section of the motion, saying that while she and education officer Martha Krish were fully in support of UCU, Council should be able to pass certain sections of the motion and reject others if they so wished. Fionn Dillon Kelly, co-president of St John’s JCR, asked whether UCU considered the potential disruption the strike action could cause to students’ education. While admitting that there were no specific plans, Davison-Vecchione said that students should be aware of the wider implications of the proposed changes to the pensions scheme and higher education in general. Update 9:08pm, 23/01: An earlier version of this article misstated the name of St. John’s JCR’s co-president: his name is Fionn Dillon Kelly, not Fionn Dionn Kelly.